Withings co-founder Eric Carreel is buying back its business from Nokia. Withings co-founder Eric Carreel is buying back its business from Nokia, it was announced this Wednesday. 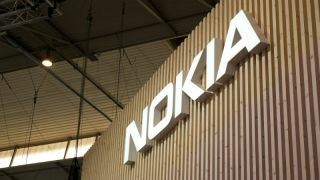 Nokia said that it is selling the digital health unit as it looks to step away from the consumer technology industry. It also seems as the digital health unit wasn’t really earning that much cash for the tech giant. Careel founder Withings in France, back in 2008, together with a partner named Cedric Hutchings. It built wearables, including watches, sleeping trackers and fitness bands, mostly healthcare stuff. Nokia came with a $192 million offer back in 2016 and purchased the business, only to rename it “Nokia’s Digital Health Unit” soon after. However, this February, Nokia said its plans on reinventing the company as a consumer electronics business didn’t work out and is mostly likely being terminated. The digital health unit was to be either sold off or shut down. “The strategic review of the Digital Health business may or may not result in any transaction or other changes. Any further announcements about the Digital Health business will be made if and when appropriate,” Nokia said back in the day. Three months later, it seems as the old founder is buying his business back from Nokia. VentureBeat says it makes perfect sense. The Digital Health Unit brought in $20 million in Q1 2016, while the entire business earns $5.9 billion. “That may be partly because Nokia had already given up on the business, but it’s also indicative of where Nokia’s future intentions lie,” it says.